The Insurance Regulatory and Development Authority, Irda, has announced new product regulations for life insurance policies during the current financial year. 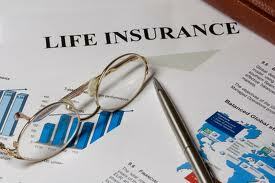 According to the regulations, the minimum sum assured or the death benefit on a life insurance policy shall not be less than 10 times the annual premium for individuals below 45 years of age. So for an individual to buy a policy with an annual premium of Rs.1 lakh, the minimum sum assured would have to be Rs.10 lakh. However, Irda has relaxed this limit for conventional insurance policies with a shorter period through a new notification issued. To make it sure that life insurance policies offer consumers an adequate cover, Irda mandated a minimum sum assured of 10 times the annual premium for all the life insurance policies for individuals below 45 years of age and for individuals above 45 years of age, the minimum sum assured is to be seven times the annual premium. Earlier, in case of Ulips, the minimum sum assured was five times the annual premium, but for traditional or non-linked insurance policies there wasn’t a minimum sum assured threshold. However, post the regulations this year which will become effective from October, owing to the insurers’ inability to design such products, Irda has reduced the sum assured limit to five times for policies with a term of less than 10 years for all individuals. However, Irda has mandated that the sum assured or the death benefit at any given point in time would not be less than 105% of all the premiums paid. Proviso: Under section 80C of the Income-tax Act. the sum assured or death cover needs to be at least 10 times the annual premium to get tax deduction benefits up to Rs.1 lakh.